November 14th (Thursday) - 16th (Saturday), 2013, Bangalore. Anand Chitipothu is a software consultant and trainer based in Bangalore. 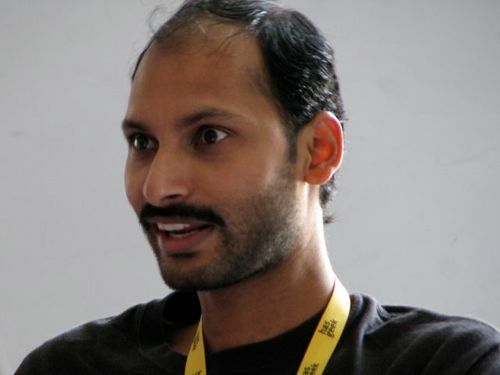 He is an active member of Indian Python community, coordinator of PyCon India 2012 and elected member of PSF. He is author of Python Primer, an interactive tutorial to learn Python in browser. He is co-author of web.py, a micro web framework in Python and currently works for Internet Archive. Introduction to Iterators, generators and generator expressions with emphasis on working with large data and how these techniques help to make code more readable. Understanding classes and objects at a deeper level. Covers old-style and new-style classes, static methods, class methods, special methods for operator overloading, meta classes, slots, descriptors, etc. The 3-day Advanced Python Workshop was quite intense but it was time well spent. The workshop was well organized professionally. Anand is very knowledgeable and is an excellent teacher. His material was well researched and organized. Being a casual python programmer for 2 years, this workshop was just at the right level for me. The concepts I learnt here would have taken me far longer to master on my own. I would recommend this workshop to anyone looking to advance their python skills. Training in Advanced Python is a must for all folks who have spent 1 or 2 years in python. This is one such thing which will take our python knowledge to the next level. This training is really going to be a booster for young python developers :)This knowledge will keep oneself ahead of others. HasGeek has done a fantastic job in arranging this workshop for python enthusiasts which will help them in their career. It was a great experience attending the workshop and had an awesome technical session. Learned a lot and went out proudly having gained good knowledge. Lots of positives from the workshop. Hearty Thanks to HasGeek for conducting this training. The Training was worth more than the money I paid for.